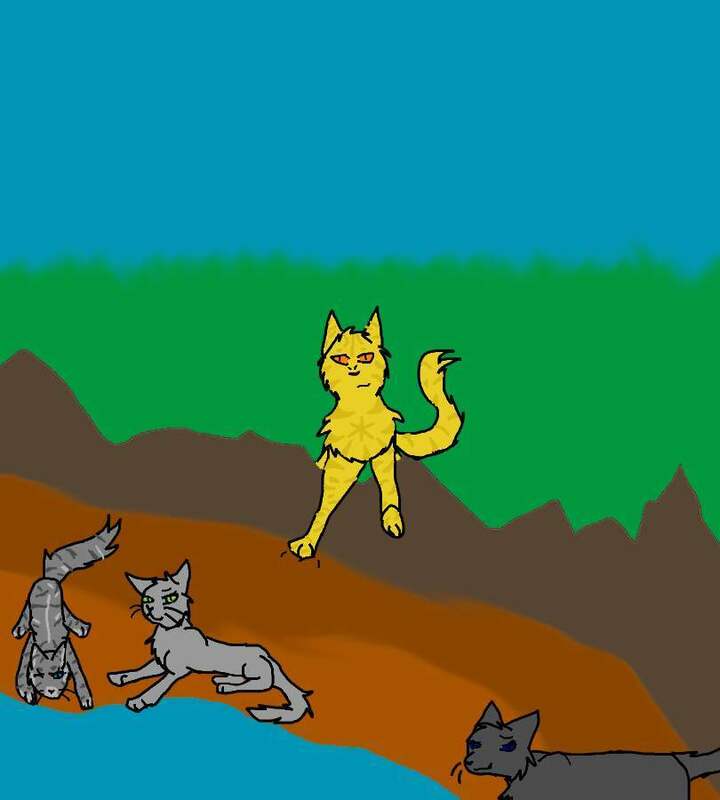 Ivypaw and Dovepaw with their mentors, Lionblaze and Cinderheart! They are next to the lake. Used Corel Painter Essentials 4.